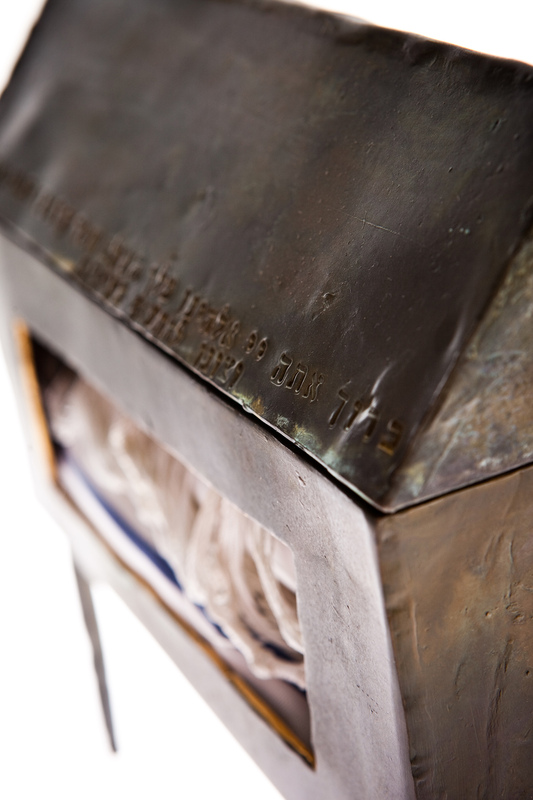 These three Reliquaries, originally created for the Orchard Street Shul Cultural Heritage Project, contain objects that I felt needed preservation and a sense of protection — based on a visit I had made to the historic site in New Haven, Connecticut. 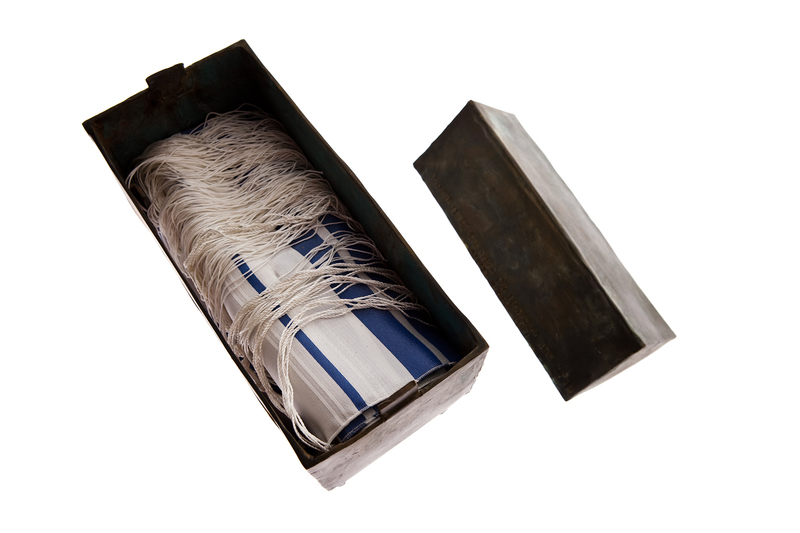 The building, itself, was crumbling on Orchard Street; yet these ritual items are, in point of fact, portable enough to carry the sanctity of the services they perform (candlesticks for ushering in the Jewish sabbath; a tallis/prayer shawl and tefillin/phylacteries donned for use in daily prayer). With the shul’s original membership rapidly aging or living far away, such portability seemed of the essence. The Catholic tradition’s use of reliquaries provided me with a conceptual structure. 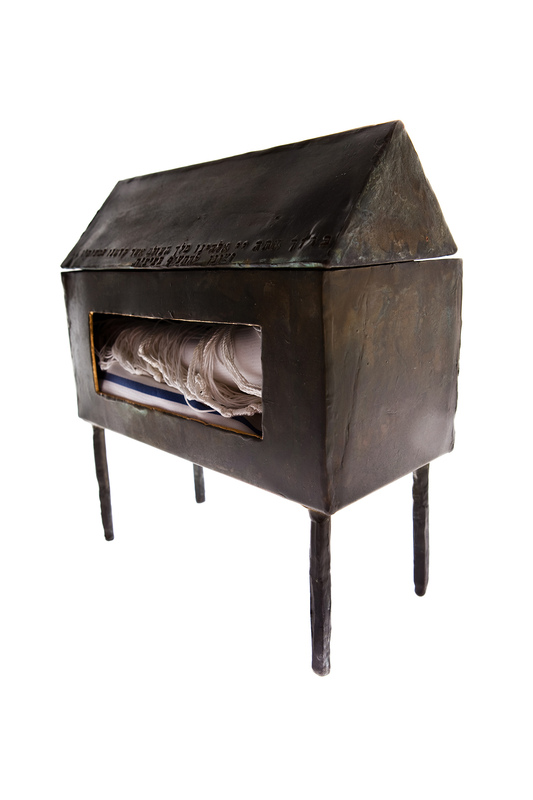 It was my hope that by housing Jewish ritual objects with consideration and care, that their sanctity could not only be preserved, but honored and even augmented. The Project culminated in an exhibition at the John Slade Ely Contemporary Art Space in New Haven in 2010.